Week 4 game ended with another crushing defeat for Enegan Affrico (1-3). It was an intense game, where neither Affrico nor Recanati were able to reach a double digit lead. Brandon Wood’s effort (35 points at the end) allowed Enegan to play for the win on the last possession. Unfortunately, Simoncelli’s shot didn’t fall in and Affrico lost its third straight game. Enegan suffered another slow start, an 8-0 run allowed Recanati to close the first quarter with a 6-points lead (23-17). Foul trouble limited Castelli and Pazzi and Giordani had to find energy from the bench (season debut for Schiano). In the second quarter, Wood carried the team with a 16 points burst. One of his three pointers put Enegan ahead (36-37). After trading baskets after baskets, Firenze and Recanati reached halftime separated by only a point (44-43). Third quarter’s opening was all Swanston. The other American scored seven points and gave Enegan their biggest lead (45-50). 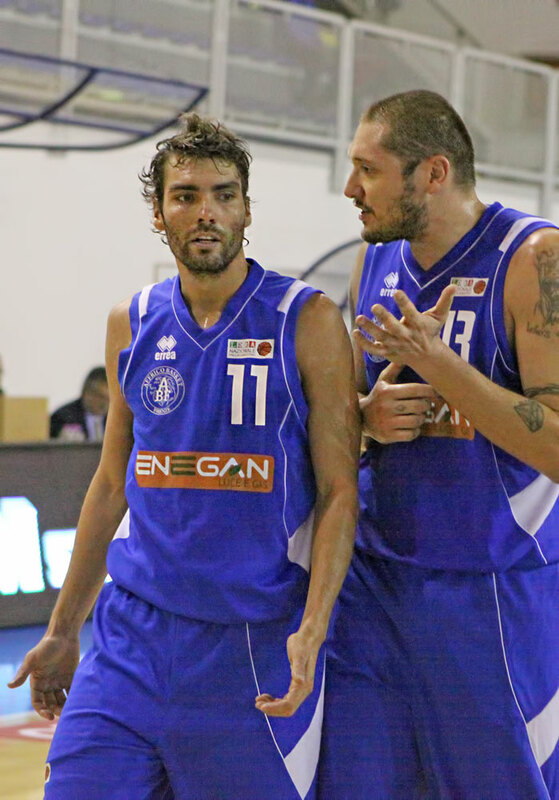 But a 10-0 run lead by Starring and Pierini gave the lead back to Recanati (68-62 at the end of the third). As last week’s game, the end was a close race. With 1″07′ left in the game, Wood scored to put Enegan within one (80-79), a 0/2 from the free throw line by Starring gave Firenze the opportunity to win it in regulation. Wood managed the last possession that ended with Simoncelli’s miss. The chance to forget this bad stint will come soon as DnaSilver has a midweek game day. On Thursday, Enegan will play in Lucca. BASKET RECANATI: Fantinelli 10 (2/4, 1/1), Starring 16 (5/11, 0/1), Mosley 16 (7/11, 0/4), Pierini 17 (4/8, 2/5), Pettinella 13 (6/10); Gnaccarini 2 (1/2, 0/1), Pullazi 4 (2/2), Stefanini 2 (1/1, 0/1), Tortù DNP, Gurini DNP. All. : Bernardi. ENEGAN FIRENZE: Simoncelli 5 (1/2, 1/2), Wood 35 (10/12, 3/4), Swanston 12 (3/4, 2/7), Castelli 5 (1/6, 1/5), Pazzi 11 (5/10); Conti 8 (3/4), Cucco (0/1, 0/1), Fontani (0/1 from 3), Severini (0/1 from 3), Schiano 3 (1/1 from 3). All. : Giordani. Officials: Riosa, Marota e Pilati. 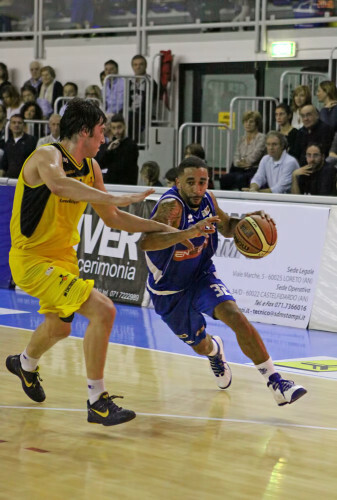 NOTES: FG Percentages: Recanati 28/49 from 2, 3/13 from 3; Firenze 23/39 from 2, 8/21 from 3. Free Throws: Recanati 15/28, Firenze 9/10. Rebounds: Recanati 25 (Pettinella 10), Firenze 24 (Wood 7). Assist: Recanati 20 (Gnaccarini 7), Firenze 25 (Simoncelli 7). Fouled out: Pazzi. Spectators: 600.